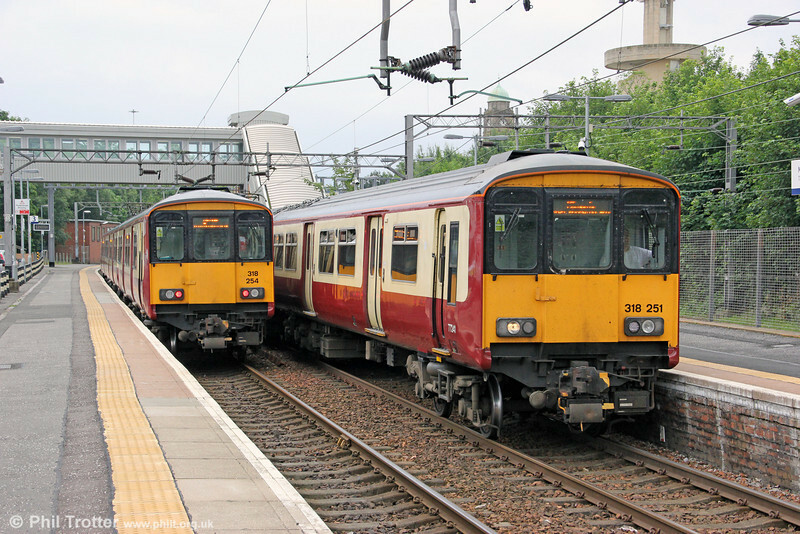 318251 and 318254 meet at Motherwell. The former is running as 2C57, 1006 to Milngavie, the latter as 2F61, 1010 to Balloch. 5th August 2012.